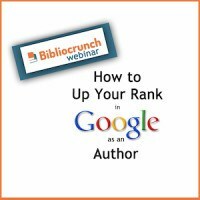 Learn how SEO can help you get your book discovered and reach new readers with the help of this comprehensive course on Search Engine Optimization developed especially for authors. The SEO Masterclass is a collection of videos that will show you tips and techniques to improve your rank in Google and other search engines and sell more books! Templates and exercise worksheets included!